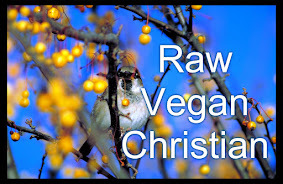 I am back to grappling with the whole issue of being 100% raw vegan... just short months ago I thought that this was my goal... and now it seems that the raw gurus I have been following are all jumping ship (you know who you are, haha). It seems that different people have different nutritional needs and digestive abilities. It turns out that some people (maybe a lot of people) don't really succeed with a 100% raw diet. And now I have begun to consider what Donna Gates of Body Ecology® has to say. Gates also says that sometimes some people "need" to have the strengthening of animal proteins and fats in their diets... yikes. That could mean organic butter, ghee, organic eggs and even fish, fowl and red meat (??). Cooked food. But mostly she is big on using fermented vegetables (sauerkraut is one fermented vegetable you might be familiar with) to help restore our digestions and immunity. Our younger son makes excellent "raw" kraut and a mix of veggies (even garlic) that are delicious. It seems that the fermented probiotic qualities are provided by "good" bacteria that will clean the gut, colonize it, and, yes, keep you alive.